Vehicle & Equipment Auction — Harritt Group, Inc.
10% Buyer’s Premium. 7% Sales Tax on titled vehicles. All funds are acceptable – cash, check, wired funds or credit card (3% convenience fee for credit or debit card). Vehicles and equipment released upon verification of funds or established history with auction company. Selling live on site excess business and personal inventory including a chopper motorcycle, box truck, dump truck, ambulance, tour bus, shuttle buses, tractor, bulldozer, forklift, shop equipment, tools & office supplies. Auction located off 10th Street just West of I-265. 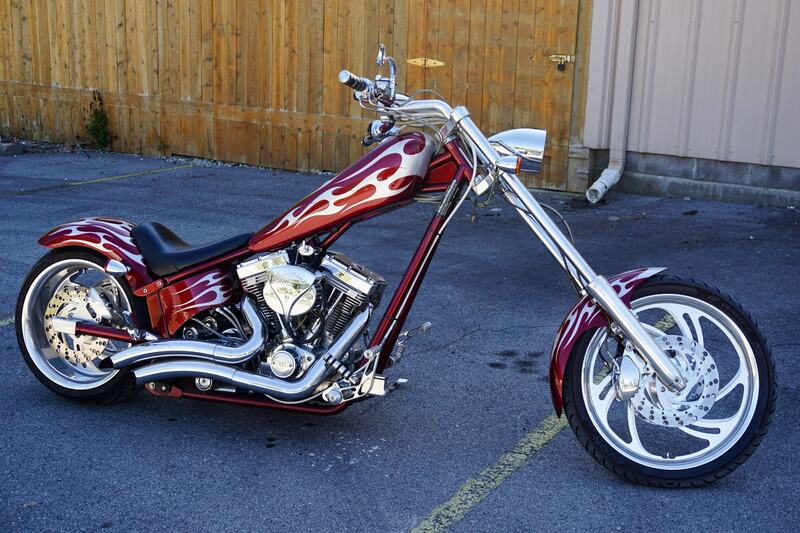 2004 Texas Chopper American Ironhorse motorcycle, S&S V-twin engine, 12K miles. 2004 Chevrolet C6500 24-foot box truck, Cat diesel engine, manual shift, DOT certified, 210K miles. 1999 Ford F450 Super Duty crew cab, utility dump bed, V-10, automatic, 141K miles. 2006 Ford E450 Horton ambulance, 103K miles. 1983 TMC Crusader II Model MC-9 tour bus, diesel engine. 2006 Ford E350 shuttle bus, lift, 199K miles; 2005 Ford E350 shuttle bus, lift, 220K miles; 1997 Ford E-350 V-10 with rear access ramp. New Holland TC30 compact 4WD diesel tractor, 7308 front loader, 1006 hours. Clark GS17S forklift, LP gas, hard tires, 3050 lb. capacity. Flatbed Heavy Duty 14’ x 7’8” tri-axle equipment trailer; Military 9’ x 7’ convoy utility trailer. Woods Chipper 8000 3-point, Bush Hog SQ600 rotary cut mower, Champion pull-behind 23 ton gas powered hydraulic wood splitter, King Kutter 7’ grader blade, Bush Hog grader box, landscape rake and grader blade. Curtis CA Series 3hp vertical air compressor, JET belt sander/ disk grinder with dust collector, Shopsmith w/table saw, Shopsmith w/table saw, jig saw & lathe, Troy Bilt & Husky power washers, Craftsman & Homelite chainsaws, plumbing snake, table vise, hand tools, yard tools and miscellaneous shop equipment. Cedar sided 12’ x 8’ shed on skids. Outdoor elliptical 3-wheel exercise bike, slightly used. Industrial shelving & warehouse racking, gym & single door metal lockers, file & utility cabinets, rolling warehouse stepladder, mini refrigerator, 12’ conference table, roll top & assorted desks, lobby & office chairs and more. I-265 to 10th Street Exit. West 2.5 miles to left on Woodland Court to auction on left.